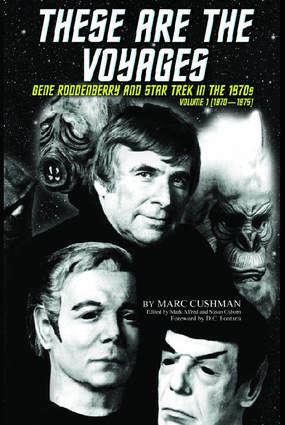 These Are the Voyages: Gene Roddenberry and Star Trek in the 1970s, Volume 1 (1970-75) is now available for pre-order. Each copy will be signed by the author (you may also request a personal inscription). The release date is scheduled for February 15, 2019. But – beginning February 1, all pre-release purchases will be shipped (in the order they were received), before the book is available through retailers such as Amazon and Barnes & Noble. The sooner you order, the sooner you will receive your copy! 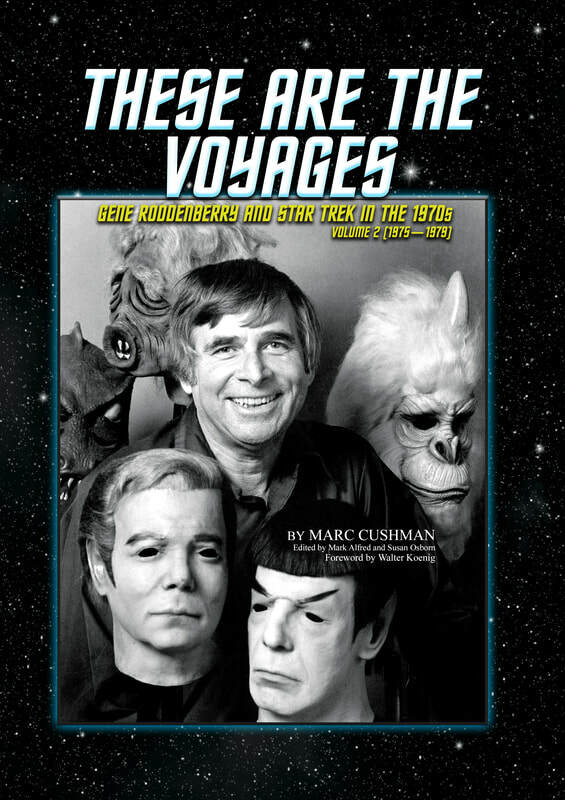 These Are the Voyages: Gene Roddenberry and Star Trek in the 1970s, Volume 1 (1970-75), in hardback and 763 pages in length, with hundreds of pictures, is the first in a two-book set chronicling the period in Star Trek history spanning the cancellation of the original series and continuing through the making and release of 1979’s Star Trek – The Motion Picture. In between these two events, Star Trek became a worldwide phenomenon. Factors in this renaissance were a boom in syndication, the coming of the conventions and fanzines, and an unparalleled expansion in merchandising. As the number of fans multiplied in massive proportions, and the reruns of the “Classic 79” episodes topped the ratings for their time slots in cities across America and around the world, curious developments were taking place behind the scenes. This is your boarding pass to go behind the scenes with Roddenberry and Star Trek, as the TV series evolves into a world phenomenon.